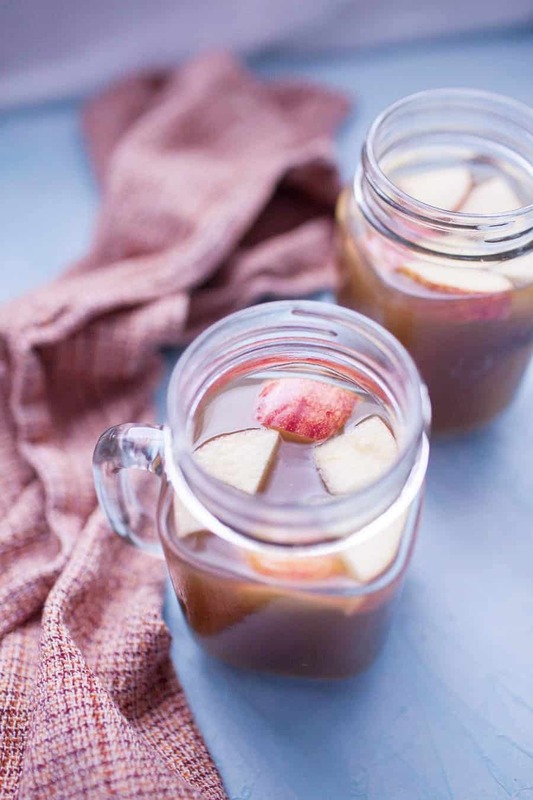 Stovetop apple cider is the epitome of fall drinks! 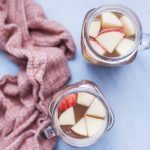 This homemade version is filled with mulling spices that compliment the sweetness of fresh apples so well. A batch of stovetop apple cider won’t last long in your house but will fill you all with the spirit of the fall and holidays seasons! Over the last three years we’ve started a tradition of serving apple cider on Halloween to the parents walking around with their kids. It started the first year, just about a week after our son was born. We wanted to be able to do something unique for the parents, since it’s one of the only times throughout the year that it’s incredibly easy to meet other adults in your neighborhood because they’re already walking around with their kids. 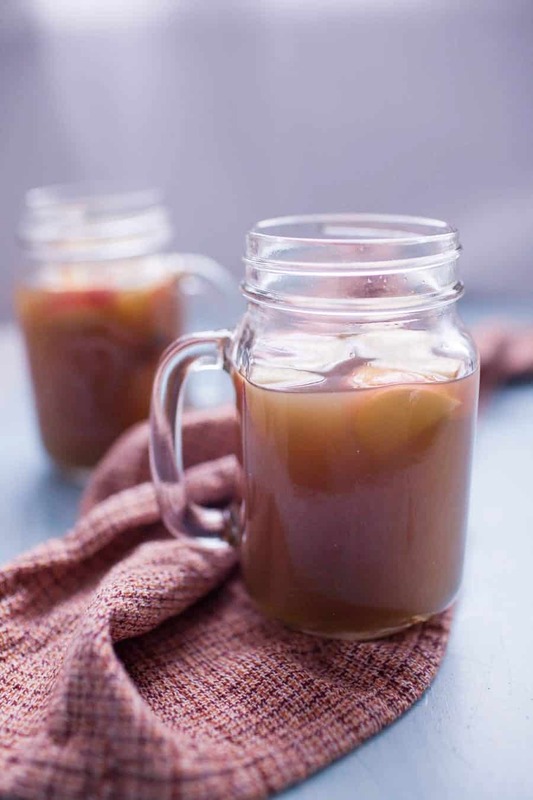 Apple cider seemed like an easy thing to do and we found that the time we spent pouring a cup from the slow cooker that was keeping it all warm gave us a few minutes to chat with the parents. I’ve lived in three different houses now over the last five years that we’ve been married and the one thing I’ve realized is that it’s (surprisingly) difficult to meet your neighbors. Neighbors just aren’t the thing that they used to be even twenty years ago. I remember very well knowing most of my neighbors growing up and playing with the kids in the neighborhood. Now it seems like the conversations you have with neighbors are very sparse or maybe completely non-existent. So with all of that said, finding a way to connect with our neighbors, even if it were just for a few minutes on Halloween, seemed like a good thing to try to do! Aside from apple cider being a great way to break the ice with your neighbors, it’s also just stinkin’ delicious. I think I’ve only actually loved apple cider for a handful of years now, but it is definitely one of my favorite fall drinks and a sign that fall has really arrived. For us in Arizona, Halloween usually has temperatures in the 70’s-80’s during the day and Halloween evening is often cool enough to need a sweatshirt or blanket when you’re just sitting outside handing out candy. Stovetop apple cider is actually incredibly easy to make. It’s not necessarily “quick” but the hands on time is very minimal. You literally chop up some apples, add some spices and pour in some liquid and let the stovetop do the rest. All while making your house smell incredible and just like fall! That may or may not be the real reason I make homemade apple cider. 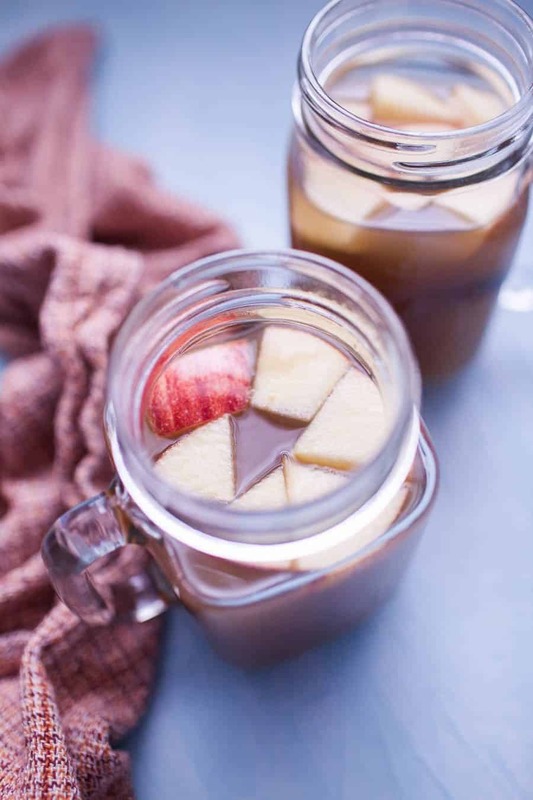 If you’ve never made homemade stovetop apple cider, this has to be the year to try it! 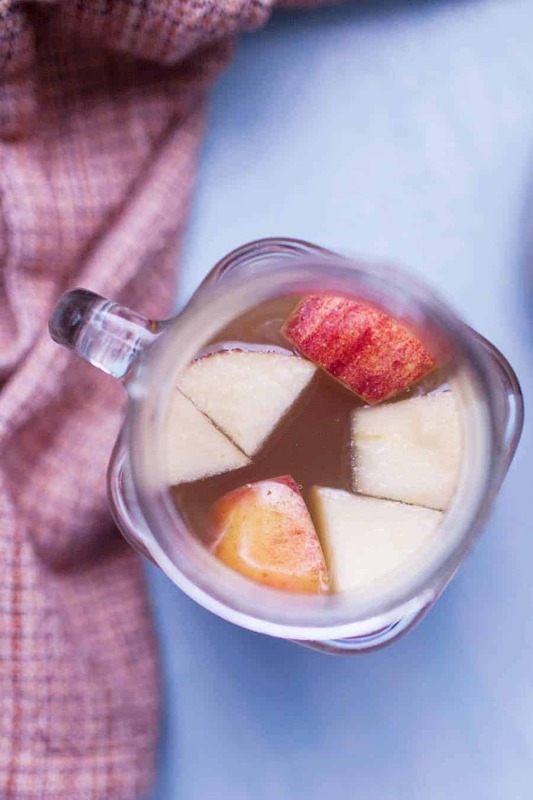 If you are trying to serve apple cider to your neighborhood, I totally support buying a big gallon of apple cider from the store for the sake of convenience, but if you’re making it for a group of friends coming over or for your family for Thanksgiving, this homemade stovetop version is a must! Ready to make your own stovetop apple cider? Scroll down to find out how! Chop apples and lime and place into stock pot. Stems/core do not need to be removed as the liquid will be strained later on. Add spices, orange juice and brown sugar on top of fruit. Bring pot to a boil. Then turn heat to low and simmer for one hour with pot covered. Remove cover, stir and add more water if necessary. Simmer for two more hours, uncovered. Strain liquid from fruit pulp and spices. Serve immediately or allow to come to room temperature, then store in fridge for up to two weeks. Optional, serve with chopped apples in glasses or with a cinnamon stick.